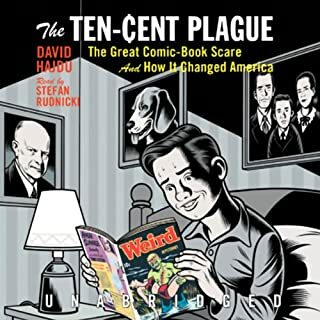 This book was hilarious, exciting and extremely satisfying. Strongly recommended. You have to give it a shot. 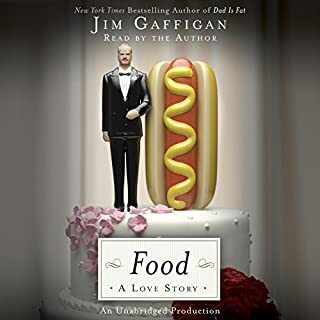 This book describes the history of the foods we love, the people that hate it, and why it's far better and has greater depth than we expected. A fun book. 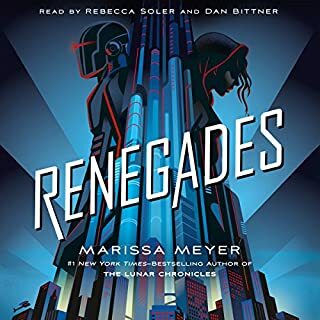 I love a good superhero story, and this doesn't disappoint. The conflict is there, both within the two protagonists of the story and among different characters. There is spectacle, there are memorable scenes you will remember long after you finish the story, and compelling characters. 1. The handful of unresolved and critical storyline threads, a couple of which absolutely need to come to fruition. 2. A brand new conflict is introduced almost immediately after the inevitable final showdown ends. This could have easily been left for the prologue of the next book. 1. Pillars of Eternity: How crowdfunding changes the rules, and changes the priorities of the developer who promised backers certain gameplay features, against deadlines and a limited budget. This story provides a better understanding of the benefits and drawbacks of crowdfunding. 2. Uncharted 4: How too much success affects a studio, and how to successfully end a successful series. It is also the story of The Last of Us, which nobody expected to be successful early on. I enjoyed all the possibilities of how different this game could have been. 3. Stardew Valley: The great risks and heartwarming payoff of going solo. The ending made me want to play this game. 4. Diablo 3: The troubles of online-only games, and the angst and pressures of racing against time to meet player expectations. In the end, it is a success story that had a lot of challenges and frustrations along the way. 5. Halo Wars: How games are transformed in the middle of development, and the pressures of working against a deadline. The Age of Empires developers are behind Halo Wars. Who knew? 6. Dragon Age: Inquisition: How EA corporate politics and poor can slow down game development and creates a large degree of developer frustration. After reading this, I have a better understanding of why EA is a blight on video games. 7. Shovel Knight: The quest to create an iconic character inspired by classic NES games and characters. It provides an insider look into an indie game team and the challenges they face. 8. Destiny: The challenges of combining multiple genres and trying to create something that's never been done before, and how past successes tend to dictate what the next success would look like. It is also the story of how a developer matures. 9. 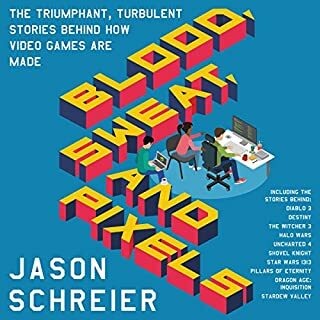 The Witcher 3: The reason for the volume and quality of content is revealed, in one of the most fascinating and enjoyable chapters of this audiobook. 10. Star Wars 1313: How a game that can do no wrong ends up being buried due to corporate politics. Delayed because of Disney and canceled outright by EA, this is the game that makes you wonder, what if? Also, f*ck EA. This is what happened when the cave men argued against fire, or when technophobes riled against the Internet. It's another instance of the backlash against anything new, and it will unfortunately continue in a series of generational battles as long as people are around. Listen to this, and promise yourself that you won't be part of the problem when a new technology emerges. 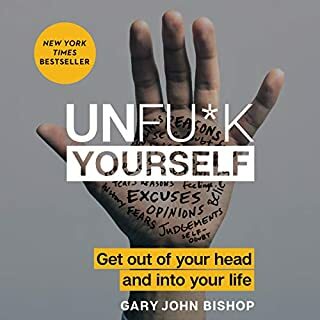 Finally, a book that tells you to stop screwing yourself up with what-ifs and why-nots and instead do something good. It challenges you to stop listening if you're unsatisfied with what's being said, but you know you can't. It is profound. Imagine taking a hike along the windswept red plains of Mars to dig for signs of life or touring one of Jupiter's 64 moons, where you can photograph its swirling storms. For a shorter trip on a tight budget, the moon is quite majestic and very quiet if you can make it during the off-season. 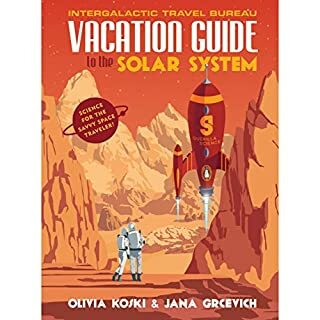 Packed with real-world science, The Vacation Guide to the Solar System is the must-have planning guide for the curious space adventurer, covering all of the essentials for your next voyage, how to get there, and what to do when you arrive. 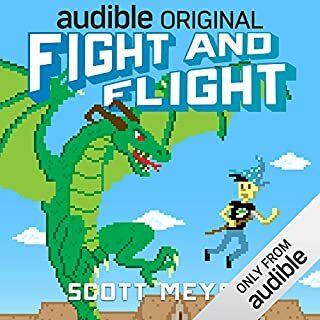 Once in a while, a unique audiobook comes along that's just a joy to listen to. This is one of them. It goes through all the planets and major celestial bodies (even Pluto), and explores what it takes to get there, how to survive and what to expect. This is a work of genius. At this point of the series, one has to wonder if there's any reason why I even bother. 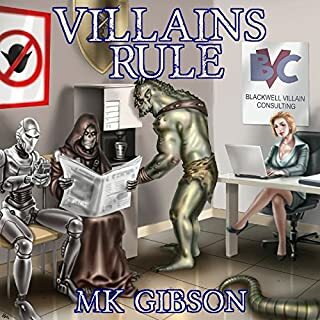 The characters are caricatures of themselves, the story is going nowhere and the next book had better be the series finale. 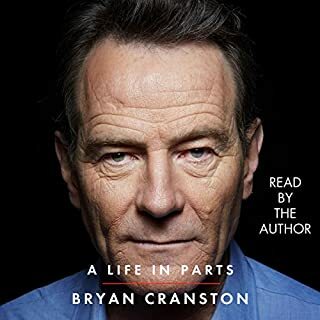 Bryan Cranston provides a rich and captivating autobiography, detailing his beginnings, his successes and his failures. This is a story worth listening to. &quot;Are you happy?&quot; is a question that kills any joy most of us have. 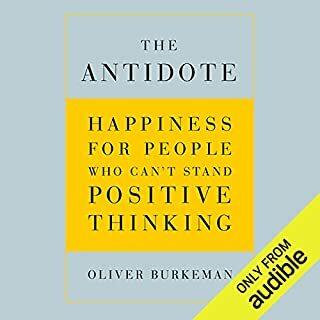 In our hopeless and endless pursuit to find happiness, we miss out on the happiness and positivity we might otherwise enjoy.